Medical science is increasingly looking at diseases at a molecular level. A new understanding of disease biology is emerging. In a paradigm shift towards what is known as molecular pathology, medical science is increasingly looking at diseases at a molecular level. 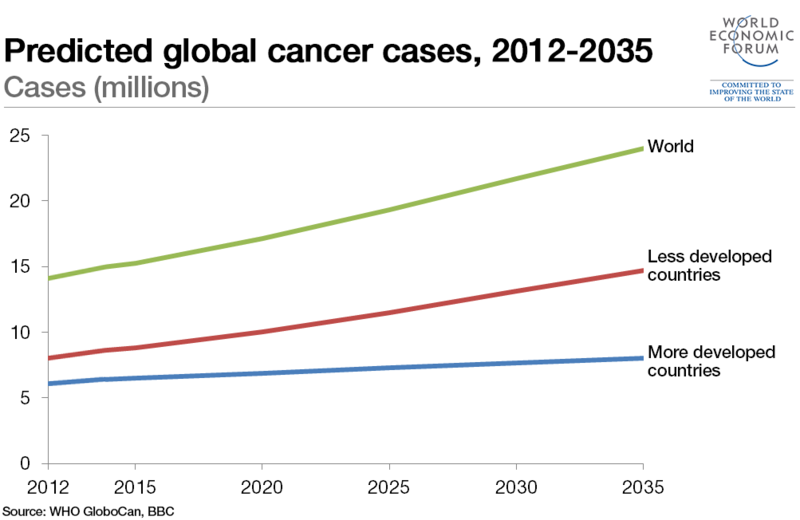 This new perspective gets us away from the simple categories of the past into which we lumped together all lung cancers, for example, or all skin cancers. Essentially, this approach seeks to explain the molecular aberrations that are driving cancer, such as somatic changes in the genetic code that send certain signalling pathways into overdrive and ultimately result in the formation of cancer. Looking behind the molecular curtain, so to speak, fosters the parallel trend toward precision medicine, in which medical treatment is tailored to the individual patient, making possible higher treatment response rates than the conventional approach. But the revolution does not end here. Advancements in our molecular understanding of disease biology coincide with substantial progress in how diagnoses are made in the clinic and how much of a burden they mean for patients. For example, if you’ve ever had a condition that required a biopsy, you may remember the biopsy better than the condition. Because the removal of a small amount of solid tissue for examination can by itself require surgery. So, where a conventional biopsy can be complicated and invasive, making it a tough way of checking how a disease is progressing; a liquid biopsy, usually blood, is relatively easy. This lets medical personnel pin down the disease subtype, identify the appropriate treatment and closely track patient response, adjusting course, if necessary, as each case requires – precision medicine in action. Of course, for a liquid biopsy to yield relevant information, the liquid has to contain biomarkers: something linked to the patient’s condition. But it doesn’t even have to be blood; molecular biomarkers can often even be found in urine. To take one example, in the case of so-called non-small cell lung cancer (NSCLC), which according to the American Cancer Society is what up to 90% of lung cancers are, a mutation in DNA is one biomarker found in blood. The full potential of this is still some time away from making itself felt, but we’re very interested in finding ways to treat NSCLC. And the use of molecular pathology and liquid biopsies is speeding up the process by making it possible for us to accelerate enrollment in the clinical trials that are a necessary part of drug development. Not only are the liquid biopsies using a simple blood sample faster, but they also let us hone in on the most appropriate cohort of patients, making the eventual outcome of the trial more meaningful. Lupus nephritis (LN) is another condition where thinking in terms of disease biology and molecular pathology is helping us make headway in our efforts to find new treatment options. In LN, the body essentially attacks its own kidneys. Previously, LN patients’ blood offered clues about their condition. More recently, however, thanks to bioinformatics, where biology meets statistics and computer science, a potentially better biomarker, one that may even predict flare-ups of the disease, has been identified in patients’ urine. If confirmed, this would be a very useful addition to the precision medicine toolkit. Molecular pathology is still a fairly new trend, but it holds out considerable hope and has medical scientists justifiably excited about the potential for quantum leaps forward in disease treatment. We’re proud to be pushing the envelope in terms of making the most of what molecular pathology and precision medicine have to offer us as a company dedicated to coming up with innovative treatment options for patients. We’ve embraced the new paradigm across our entire pipeline.